Horse racing is a hard game to beat at an online racebook. Each day you are competing against other handicappers that are trying to do a better job than you of picking winners. To truly make a profit from your horse race betting you must familiarize yourself with the concept of value. 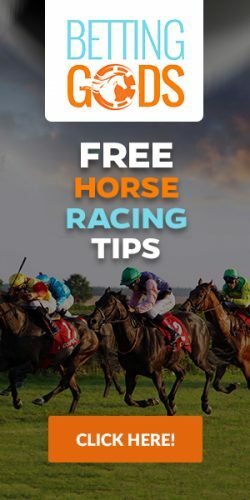 Winning bets means that you will consistently receive value from the horses you bet. What is Horse Racing Value? Value in horse racing is determined by the ability of the horse you are betting in comparison with its tote board odds. If a horse is being offered to you at higher odds than you think it should be getting, this horse has value. If the horse is being offered lower than you think it should be, there is no value there. Value is what compels a successful handicapper to make a horse racing bet. Some handicappers are so serious about value that they will only bet when it is present. They will pass a race if they feel like the odds are not giving them a positive risk to reward ratio. Year in and year out these are the men and women of handicapping that make a consistent profit from their race track bets. Each horse is assigned what are known as morning line odds by the track handicapper. These odds are designed to give bettors an idea of what a horse should be on the tote board when the race begins. While the morning line odds do often mimic the final odds of a horse, sometimes they can be very inaccurate. The reason for this is that the morning line is made by a track handicapper. The tote board odds are made by the public. The racing public is not a bad handicapper, actually. They get it right about one out of every three times. You could make quite a good living as a handicapper if you managed the same feat but only bet horses at long odds. To determine whether or not you are getting value on a race horse you are going to have to learn how to make your own money line. A money line is basically a morning line that you will create yourself. You will go through all the horses in a race and assign odds to each one. The odds you assign will be what you think the horse is worth. If you think a horse has a 50-50 shot at winning, you would give that horse a money line of 1-1or even money. Once you have assigned a money line to each horse, you will then go about your normal handicapping procedure. Once you have decided on the horse you wish to bet, all you need to do is wait until race time to see what the horse’s odds are on the tote board. If the odds are higher than what you have listed in your money line, the horse is a bet. If the odds are lower, it might be wise to pass the race. What you are trying to do here is make sure that you get a fair price for each horse that you bet on. Why is value so important? Well, if you were betting on a amateur boxer with no wins on his record to beat Floyd Mayweather, what kind of odds do you think you should get? 2-1? 3-1? Ridiculous. At least 50-1 or better would be more like it. What this basically means is that you are saying that Mayweather will beat the unknown boxer 49 out of 50 times if the fight were repeated to infinity. Maybe that one time out of 50 Mayweather had the flu or slipped down. The other times you are in trouble. So, the only bet that makes sense is at 50-1 because it’s the only bet that you have a chance to break even where value is concerned. The same applies to horse racing. To make a profit you must be properly compensated for the risk that you are taking. Value means that you are being given the correct odds. Are you ready to apply the concept of value at one of our online racebooks? Sign up today and you can wager right from home on your computer, phone, or tablet. You’ll even get a nice horse racing welcome bonus when you make your first deposit.